The cost effectiveness of when to turn off lights depends on the type of lights and the price of electricity. The cost effectiveness of when to turn off lights depends on the type of bulb and the cost of electricity. The type of lightbulb you use is important for several reasons. All lightbulbs have a nominal or rated operating life, which is affected by how many times they are turned on and off. The more often they are switched on and off, the lower their operating life. Incandescent lights should be turned off whenever they are not needed, because they are the least efficient type of lighting. 90% of the energy they use is given off as heat, and only about 10% results in light. Turning lights off will also keep a room cooler, an extra benefit in the summer. While halogens are more efficient than traditional incandescent bulbs, they use the same technology and are far less efficient than CFLs and LEDs. Therefore, it is best to turn these lights off whenever they are not needed. 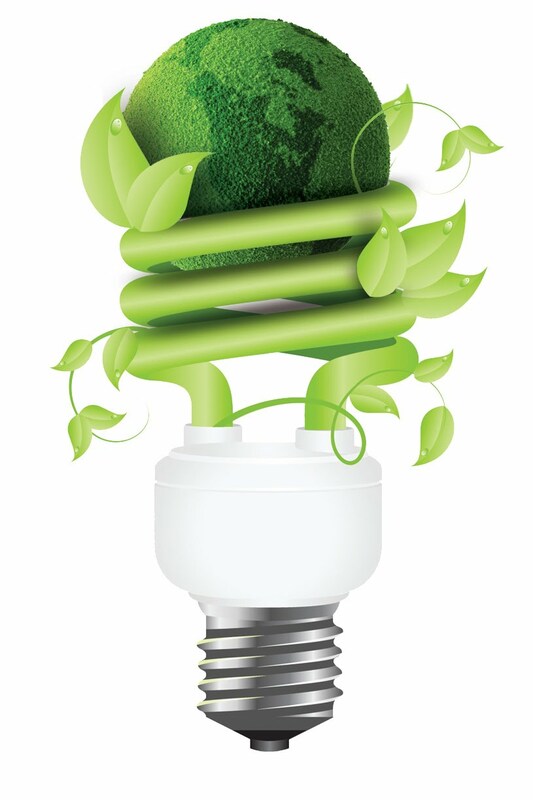 The operating life of CFLs is more affected by the number of times they are switched on and off. You can generally extend the life of a CFL bulb more by switching it on and off less frequently than if you simply use it less. It is a popularly held belief that CFLs use a lot of energy to get started and it is better not to turn them off for short periods. The amount of energy varies between manufacturers and models—however, ENERGY STAR© rated bulbs are required to endure rapid cycling for five-minute intervals to ensure that they can hold up to frequent switching. In any case, the relatively higher “inrush” current required lasts for half a cycle, or 1/120th of a second. The amount of electricity consumed to supply the inrush current is equal to a few seconds or less of normal light operation. Turning off fluorescent lights for more than 5 seconds will save more energy than will be consumed in turning them back on again. Therefore, the real issue is the value of the electricity saved by turning the light off relative to the cost of changing a lightbulb. This in turn determines the shortest cost-effective period for turning off a fluorescent light. The operating life of a light emitting diode (LED) is unaffected by turning it on and off. While lifetime is reduced for fluorescent lamps the more often they are switched on and off, there is no negative effect on LED lifetime. This characteristic gives LEDs several distinct advantages when it comes to operations. For example, LEDs have an advantage when used in conjunction with occupancy sensors or daylight sensors that rely on on-off operation. Also, in contrast to traditional technologies, LEDs turn on at full brightness almost instantly, with no delay. LEDs are also largely unaffected by vibration because they do not have filaments or glass enclosures. Then you need to find out what you are paying for electricity per kWh (in general and during peak periods). You will need to look over your electricity bills and see what the utility charges per kWh. Multiply the rate per kWh by the amount of electricity saved, and this will give you the value of the savings. Continuing with the example above, let us say that your electric rate is 10 cents per kWh. The value of the energy savings would then be 0.4 cents ($ 0.004). The value of the savings will increase the higher the watt rating of the bulb, the greater the number of bulbs controlled by a single switch, and the higher the rate per kWh. The most cost-effective length of time that a light (or set of lights) can be turned off before the value of the savings exceeds the cost of having to replace bulbs (due to their shortened operating life) will depend on the type and model of bulb and ballast. The cost of replacing a bulb (or ballast) depends on the cost of the bulb and the cost of labor to do it. Lighting manufacturers should be able to supply information on the duty cycle of their products. In general, the more energy-efficient a lightbulb is, the longer you can leave it on before it is cost effective to turn it off. In addition to turning off your lights manually, you may want to consider using sensors, timers, and other automatic lighting controls.